The California Cricket Academy may have had its share of drama and controversy over the years but there is no denying that it is the premier training academy for kids interested in cricket in the Bay Area. The disciplined and dedicated approach to the game has brought the organization a tremendous amount of success and I am passing on Kinjal Buch’s report on their fifth anniversary celebrations held recently. The California Cricket Academy (CCA) for youth is celebrating its fifth year anniversary this year by hosting the first international U-15 championship between USA and Canada U-15 team during the Thanksgiving weekend. Since its inception in 2003, the academy has grown from 23 players to over 150 players. In October 2008, academy completed its fifth annual KeyPoint Cup tournament ( sponsored by the KeyPoint Credit Union) and organized the award function at Quinland community center in Cupertino. Mayor Ms. Dolly Sandoval gave a proclamation acknowledging the Academy’s achievements and assured the city’s commitment to supporting cricket as an alternative sport. 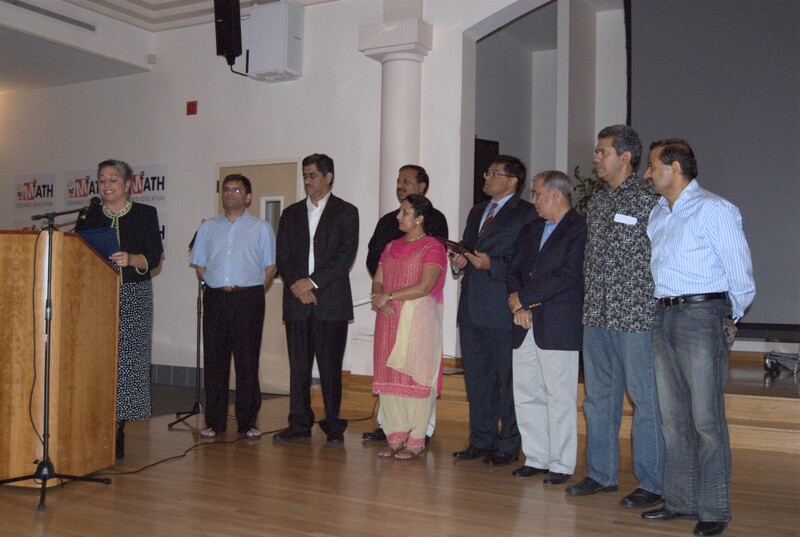 During the ceremony, the academy recognized players with outstanding performances as well as several sponsors and volunteers; program coordinator Ms. Priya Pradhan, Mr. Zain Jeewanji of G1G insurance, Mr. Mahesh Nihalani of Cupertino, Mr. Prashant Mehta of Brookside Inn in Milpitas and Mr. Himasnhu Vajir of Days Inn, Sunnyvale. “We are proud to support California cricket academy for youth and looking forward to a stronger relationship for years to come”, says Helen Grays of KeyPoint Credit union. Details of the Thanksgiving weekend tournament details between Canada and US can be found on the academy’s website www.calcricket.org. A live webcast of the event is planned on 27th of November. We expect over 10,000 cricket fans to watch the event in different parts of the country and world. Games will be played at the W.A. Wilson adult education center ground in Santa Clara on Benton Street and Dilworth Elementary of Cupertino school district on November 27th, 28th and 29th. The academy will provide hotel rooms, lunch, dinner for the visiting teams thanks to kind support from its sponsors. “Five years ago, my wife Kinjal and I established the academy with the goal of taking cricket to schools in Bay area and start first youth league in the country. We studied how AYSO and other youth sports league operate. We are proud that we have achieved amazing results,” says academy founder and Chairman of the USA Cricket Association western region chairman Hemant Buch. Now after five years, the academy has won national championships for last 3 years. 8 academy players have represented USA in international competitions and the academy has conducted tours of India and England, has organized the first ever interschool championship for middle schools in Cupertino and trained over 250 players. The U-13 team from the academy is all set to go to India in December of 2008 and will play 9 games in 12 days in different part of the country. This entry was posted in Blog on November 21, 2008 by vpdot.